Stop us if you've heard this one before: "You need to run your HOA like a business!" Condo and homeowners associations are corporations (nonprofit, usually), so you should adopt practices successful corporations follow. Smart advice, right? But what does that mean when it comes to your day-to-day operations? 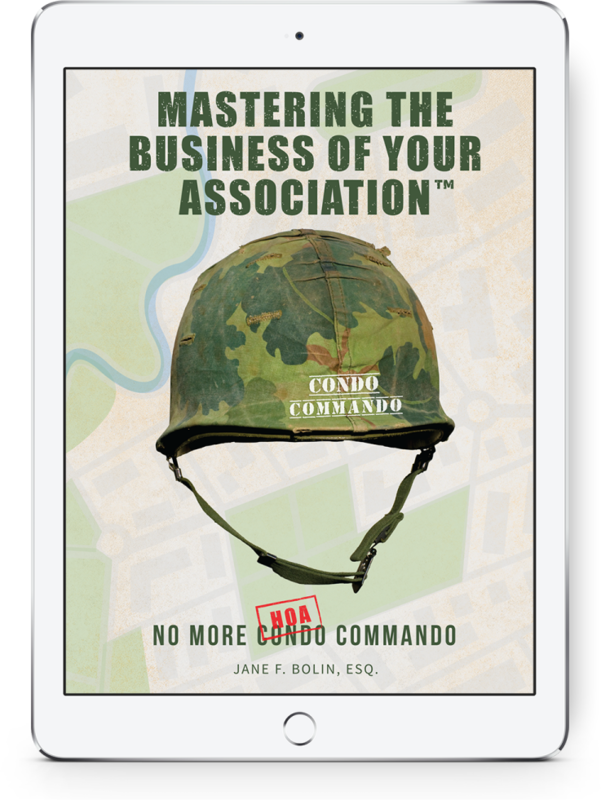 Get your copy of Mastering the Business of Your Association™ and find out! Originally from the D.C. area, the focus of Jane Bolin's practice is association law and real property litigation. She received a B.A. in political science from Radford University, a Masters in sports management from the United States Sports Academy, and her juris doctorate from St. Thomas University School of Law. In 2008, Bolin merged her solo legal practice to form PeytonBolin, PL, with Mauri Peyton. Today, their Fort Lauderdale-based company represents hundreds of community associations and individual unit owners, and has offices in Orlando and satellites in Tampa and West Palm Beach. Jane is passionate about empowering board members, individual unit owners, business owners and entrepreneurs to be the agents of change by transforming their environments. She actively serves on boards and community endeavors and believes that the key to all empowerment comes through education.